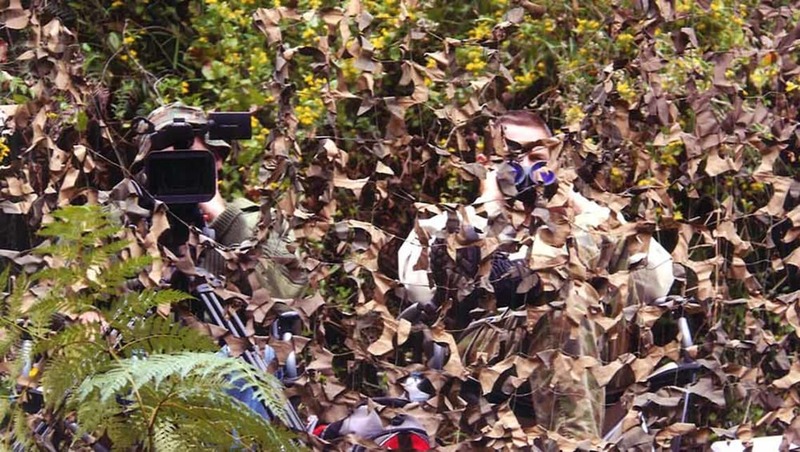 Victorian police operating a camouflaged speed camera. The rules of the game were once simple: the police would try to spot speeding drivers, and drivers would try to spot them first. But those rules changed forever when the country’s first speed camera was set-up in Victoria (where else?) in 1985. In the decades since, the Australian road network has become a kind of vast Truman Show, with the number and variety of speed and red light cameras exploding right across the nation. Gone are the days of mumbled excuses fired out the driver’s side window at a pair of unsympathetic aviators. These days, the first a driver hears of an offence is when a fine arrives in the mail weeks later. And the fine business is booming. In 2015, the camera network in NSW alone collected more than $530,000 from the wallets of unlucky drivers every single day. All that revenue is largely generated by the four main camera types used in Australia. Fixed speed cameras – which can often record the speed of traffic travelling in both directions – and permanent red light cameras were the first to his Aussie roads. They’ve now been joined by a new breed of camera which can capture both red light and speed offences (particularly dangerous for those who accelerate through an intersection trying to avoid being pinged when the light turns red). While we would never advocate speeding, it can take super-human diligence to remain on the speed limit at all times. Point-to-point speed cameras are often found on major highways, and measure a driver’s average speed between two defined points. Finally, and as the name suggests, mobile speed cameras can be just about anywhere, and can now be operated by private outfits in most States. Your chances of being pinged, however, vary hugely depending on where you live, because the rules surrounding cameras are State-dependent. In NSW, for example, the authorities need to erect signs warning of a speed camera, red light camera or even a privately operated mobile speed camera. But cross the border into Victoria and those rules cease to apply, with cameras hidden under bridges, in the back of unmarked vans or, as has been reported, under camouflage netting in the roadside scrub. Likewise, some States are filled with cameras, while others have only a handful. While we would never advocate speeding, it can take super-human diligence to remain on the speed limit at all times, especially given the margin for error can be as low as two kilometres per hour. But there are ways you can level the playing field. Every State and Territory in the Australia is obligated to publish speed camera locations, red light camera locations and even approved locations for mobile speed cameras. So read on for a breakdown of camera numbers, and how to discover where they’re hiding in your area. But first, a warning: the police take a particularly dim view of using a radar detector, or speed-evasion device, which are used to warn drivers of a nearby speed camera or radar. In NSW, for example, using one will earn you a fine of $1566 and nine demerit points. And the punishments are equally severe across the country. If you’re a driver in Victoria, the deck is stacked more heavily against you than it is for motorists in other States. Digital red light/speed cameras are set up in 75 locations, and are joined by another 41 old-school film red light cameras. Speed cameras live at another 261 locations. Finally, there are 10 point-to-point speed cameras along the Hume Freeway that capture traffic travelling in either direction. And just in case you can somehow navigate that minefield, there’s another 2,000 locations in which a mobile speed camera could be set up. Victorian drivers can click here for a full list of speed, red light and mobile speed camera locations in their State, as well as specific rules surrounding their use. NSW drivers can click here for a full list of speed, red light and mobile speed camera locations in their State, as well as specific rules surrounding their use. Queensland drivers are significantly better off than their NSW and Victorian counterparts, with just 16 fixed speed cameras, seven combined red light and speed cameras, and another 127 red light cameras. There are, however, 3500 approved mobile speed camera locations across the State. Finally, point-to-point speed cameras are installed on the Bruce Highway north of Brisbane, and are used to measure the speed of both cars and trucks. Queensland drivers can click here for a full list of speed, red light and mobile speed camera locations in their State, as well as specific rules surrounding their use. Drivers in South Australia need to dodge 172 fixed speed cameras, as well as a rotating list of around 26 mobile speed cameras operating in Adelaide, and another 25 operating in regional South Australia. There’s another 120 red light cameras which also measure speed, along with six point-to-point speed cameras that work on all traffic. South Australian drivers can click here for a full list of speed, red light and mobile speed camera locations in their State, as well as specific rules surrounding their use. For a land as vast as Western Australia, speed and red light cameras are few and far between. The State is serviced by just 29 cameras that capture both speed and red light offences, and another five fixed speed cameras. There are another 28 mobile speed cameras scattered around the State, with their locations published daily. WA is currently trialling its first point-to-point camera, on the Forrest Highway. Western Australian drivers can click here for a full list of speed, red light and mobile speed cameras in their State, as well as specific rules surrounding their use. The Northern Territory is the only place in Australia that approaches speeding with an almost European sensibility. Not just the only region in Australia to resurrect open speed limits on specific stretches of their endlessly straight highways, the NT has a total of just 18 cameras to catch unawares drivers. Yep, 18. And while unmarked ‘covert’ mobile speed cameras were trialled just before Christmas last year, for now they remain just that: a trial. Point-to-point cameras are yet to be introduced in the Northern Territory. Northern Territory drivers can click here for a full list of speed cameras in their Territory, as well as specific rules surrounding their use. Tasmania isn’t just considered a driving nirvana because of those sublime Targa Tasmania roads. There are just 10 speed cameras and three red light cameras on the island, with privately operated mobile speed cameras and point-to-point cameras yet to be introduced. Tasmanian drivers can click here for a full list of speed cameras in their State, as well as specific rules surrounding their use. The ACT might be Australia’s smallest State or Territory, but with just 13 red light cameras, nine fixed speed cameras and two point-to-point speed cameras, there’s still plenty of room to move for Canberra drivers. There’s also a further 241 approved locations for mobile speed cameras. The ACT’s two point-to-point cameras detect all traffic, including cars, bikes and trucks. ACT drivers can click here for a full list of speed, red light and mobile speed cameras in their Territory, as well as specific rules surrounding their use. Do you think speed cameras should adhere to a national standard? Tell us what you think in the comments below.